Basil is my favorite of all the herbs because it is so versatile and easy to grow. Those of you who follow my recipes site will know that I like to grow my own herbs and as basil is normally ready to eat just 6-weeks after planting I naturally use it often. Basil is an attractive annual, about 18 inches (450 mm) tall with light-green, fairly broad leaves. There are several species of cultivated basil, one having purple leaves, so it is also a decorative plant in your garden. Basil grows easily from seed planted after all danger of frost has passed. Pinch stems when the plant reaches 18 inches (450 mm) tall to promote bushy, compact growth. Avoid lush growth as it may reduce the flavor. Green leaves can be picked about 6 weeks following planting. It is best to cut leaves for drying just before flowers open. However, if you can use fresh, the taste is far better and it is also an extra vegetable to compliment a healthy diet. 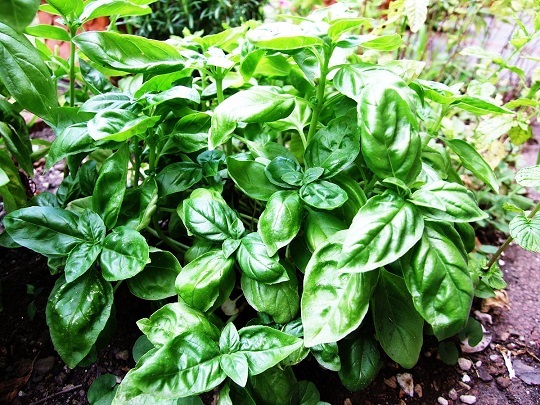 Spicy-scented basil leaves are one of the most popular of all herbs used in cooking. There are two particular ways I like to use basil; the first, and most common, is to mix it with pine nuts and a little garlic, a splash of balsamic vinegar and extra virgin olive oil in a blender to make Pesto. Pesto can be kept for a few days in the refrigerator. Use about 90% basil to 10% pine nuts. The other way I like using basil is with freshly picked tomatoes, sliced, drizzled with extra virgin olive oil and sprinkled with chopped basil. This dish can be served alone as an appetizer or as part of a salad. The other great thing about basil is that you should grow one basil plant between each tomato plant in your garden. The plants compliment each other and the basil acts as a deterrent to many of the bugs that like tomato. It never fails to amaze me the way nature has a habit of making complimentary plants that together protect each other in growth and them compliment each other on the table. Top chef's use basil with all tomato dishes, whether cooked or raw. 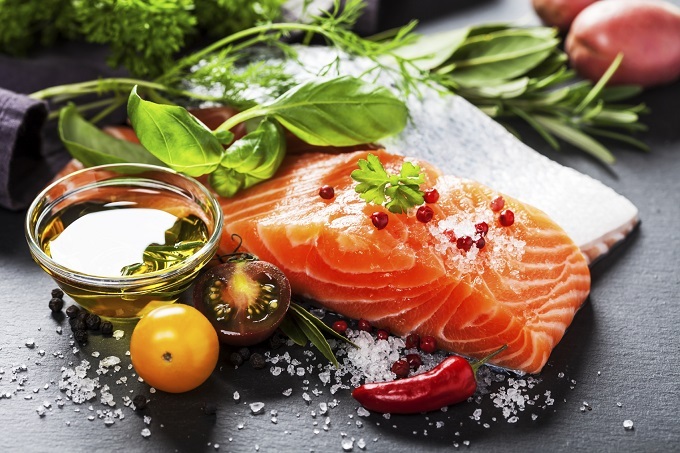 The other thing to remember about using olive oil is that it is an omega 3 oil and very good at promoting "good" cholesterol. This article is copyright (c) David McCarthy.